PIPS Newry & Mourne would like to Thank The Funhouse, Newry for having PIPS Newry & Mourne be part of your 10 year anniversary event Strictly Fun Dancing. Huge thanks to Natasha Daryale and the Funhouse team who organised the event and the amazing Cailina Parr super star dance teacher. 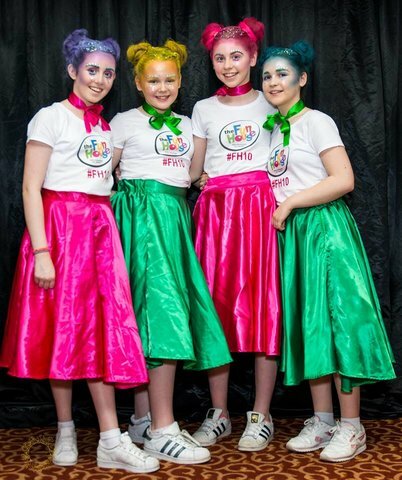 PIPS would like to thank everyone on the girls behalf who sponsored them, came to fundraising events, sponsored program advertisements, bought tickets and showed support on Friday night, and most of all the girls parents who showed them continues support over the past 12 weeks taking them to and from dance lessons. THANK YOU! The girls put on a wonderful performance and their hard work over the past 12 weeks differently showed on the stage. They did amazing! Ellen, Ellie, Nadine & Emily massive well done and thank you from all here at PIPS Newry & Mourne.